These laws identify the one to report child abuse or to neglect and the circumstances in which they should so. They speak about physical abuse, sexual abuse or negligence of children rights. They also focus on the behaviors of parents towards their children. The law recognizes certain individuals and professionals as mandatory reporters. People who work with children in their profession should alert the police or any appropriate authorities of any suspected abuse. It is inclusive of all the citizens with knowledge or suspicions of abuse. They should report to the relevant authorities. Failing to report child abuse will result in penalties. It is usually crucial for individuals seeking information about child abuse mandatory reporting to refer to child protection laws. Allegations of child abuse can lead to criminal charges and the initiation of a child neglect case in a civil court. The police will always arrest you on charges of child abuse. Individuals who harm the children will be dealt with accordingly, and they may end up on the wrong side of the law. Everybody has a legal responsibility of reporting any abuse incident immediately for the law enforcement officers to take actions when there is a possibility of preventing harm to the child. The laws allow those who are wrongly accused of child abuse to take comfort in knowing that the criminal justice system will offer essential protections. Therefore, they need not panic about what they are going to expect. The law also ensures that suspects will not face convicts depending on secret evidence. In cases of child abuse, the court will disclose everything to the defendant such as witness statements, transcripts or notes from interviews of the child and reports from child protection services caseworkers. Civil neglect begins when a child the court takes into protective custody. However, some accusations of child abuse may not lead to criminal charges. 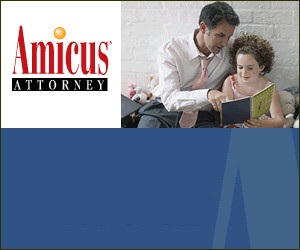 The court usually assumes that you cannot take good care of the child as well as providing a safe environment. The law may require the child to be put in foster care until you satisfy the judge that you have addressed all the neglect issues. The court will present you a copy of the petition setting forth the allegations during neglect cases. Child abuse protection laws are crucial and must remain for the protection of children against any form of abuse. Education leaders need to promote awareness of these laws by developing programs and employee training. Also, they must be put into practice in each country as one way of protecting the rights of every child, hence protect them from abuse issues.